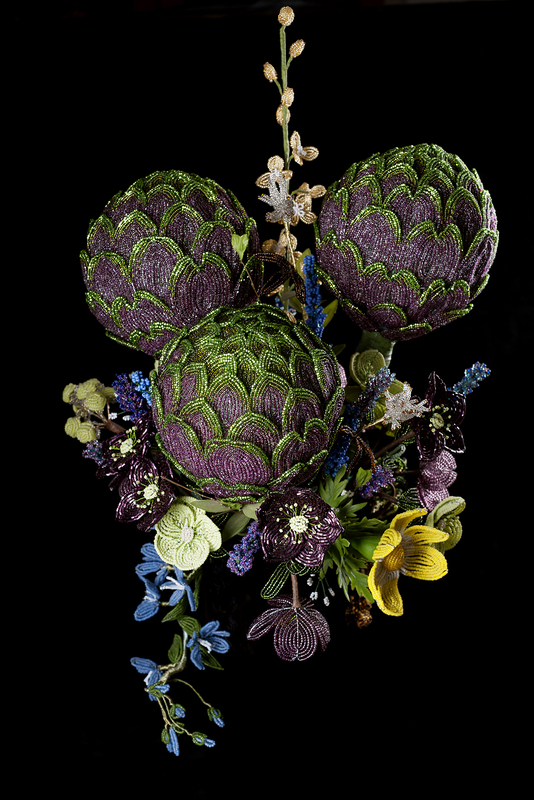 Alongside the book, the creative duo offers an exquisite exhibition based on the book, including beaded flowers from Mr. Levi’s collection, informative texts, and Mr. Koinberg’s stunning photographs. Lecturs including striking image shows can also be arranged. The Thiel Gallery is blossoming! In this exhibition by floral artist Gunnar Kaj (installations) and author Ragnar Levi (texts and collection), glistening bead blossoms are combined with salvaged nature in striking installations. 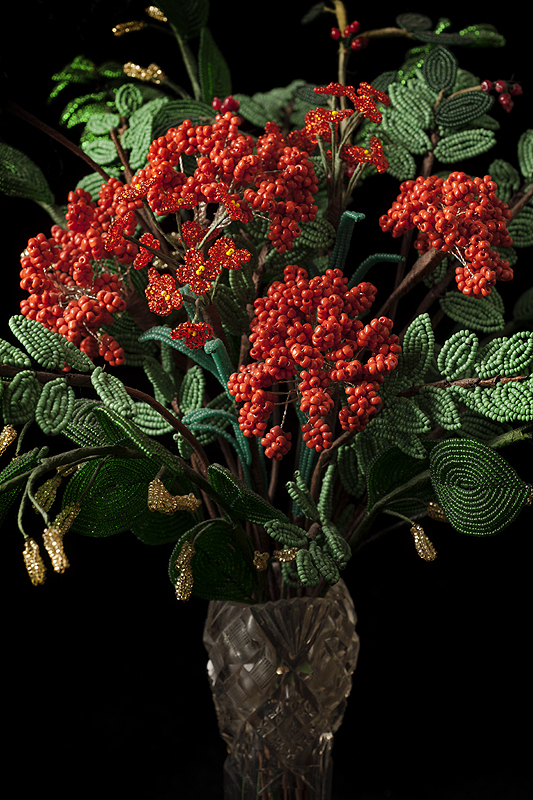 Twigs, leaves and seed pods in the arrangements are combined with beaded flowers. The exhibition invites you to a sensual experience and features an exceptional craft inspired by nature. Together, these eternal blooms and finds from nature portray life’s many phases: to bud, blossom, wilt and remember. Vid sidan av boken, erbjuder de båda upphovsmännen en utställning som bygger på boken och som omfattar blommor ur Ragnar Levissamling, faktatexter om konsthantverket och Edvard Koinbergs underbara fotografier. Föreläsningstillfällen med bildvisning kan också erbjudas separat. Thielska Galleriet – Blomma för evigt !